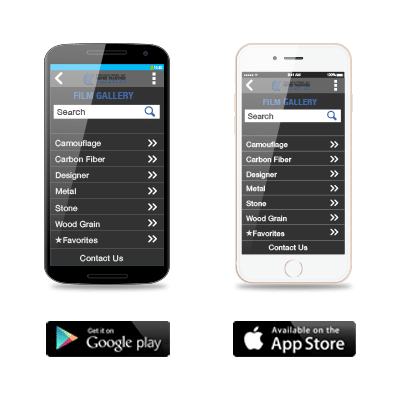 PRINCETON, FL – August 17, 2015– TWN Industries Inc., the leading Water Transfer Printing supplier, announces the release of its first-ever app. The app was designed as a convenient way for processors to view TWN’s collection of water transfer printing films, along with pertinent technical information for each of the patterns. Processors will be able to quickly determine the proper base coat, activator, top coat, water temperature, and film width for all of TWN’S patterns. Another helpful tool is the predictive search, which makes finding your favorite patterns much easier. Users will also be able to save patterns as “favorites,” which comes in handy when hydro dipper’s need quick access to their top-selling designs. Additionally, the app features an “off-line” viewing option that allows users to save patterns to their device. This option gives processors the ability to view patterns without having a data connection. It’s also a great way to cut down on cell phone data usage.